You may have a favourite stretch of road to drive on or you may not. I’m in the car all day seeing the same places so driving can become a bit of a chore. There is one road I love though. It’s the road that leads from Withernsea to Bridlington up the east coast. 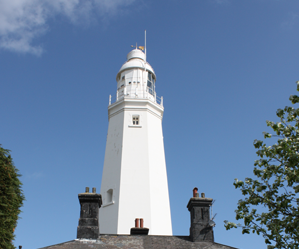 I’ve been going to Withernsea when I was a kid and really love the place. 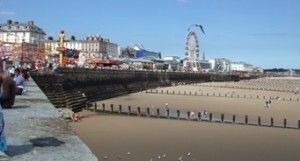 Bridlington is the quintessential British holiday destination if you’re into fish and chips, cold sea and sandy beach. The drive in between is absolutely brilliant. Setting off from Withernsea we have some well winding country roads. Just right for practising smooth gear changing and getting that speed just right. Behold the wide open farmland with it’s cottages and crumbling windmills. Such a nice change from the busy city landscape I’m used to. Heading through some tiny yet lovely villages, we head up towards Hornsea Potteries. I don’t mind the tractors on the road on this stretch. It’s fun waiting for just the right spot to overtake then we’re away. There’s a nice retail park place with plenty to do for small kids at Hornsea. I used to love watching mine in the soft play park when they were small. Too old for that now so It’s all about shopping. Heading up through the town centre which to be honest is a bit run down and depressing we negotiate a double roundabout which is confusing for the uninitiated. Don’t get distracted by the colourful flower beds and avoid the Volvos towing caravans. Try not to be angry as they block up the road. There is no need to rush on this journey. Nottingham driving seems a world away. Heading North again we drive through Atwick. Blink and you’ll miss this small jewel of rural England. Well maintained, the inhabitants obviously care about this place. Last time I drove through was around Halloween and there were spooky mannequins placed by the roadside. Bit of a distraction for the unaware motorist but it really added flavour to the journey. Up through the countryside passing large signs for car boot sales. Tiny garages with only two pumps and prices that would make your eyes water. Fill up before you make this journey if you want to save some cash. Now we reach the Cruckley village farm park. Just right if you want to look at some animals and go crazy on the adventure playground. Make sure you wash your hands after touching the animals or you may die of some horrible disease. Just kidding. The roads get larger as we drive north and it’s time to admire the wind farms. Some people don’t like to see them but I think they look great. A few miles more and we’re heading into Bridlington. I like to stop at a place about a mile before reaching the town and park there. You can catch a small road train into town but then you would miss the best walk there is. Strolling along the windy sea front is pure joy. There’s poetry and nautical facts written in the flagstones and a view of the most fantastic beach. Look ahead you can see the fun fair and the boats. Hear the cry of the seagulls and know that there is a great day ahead of you and a nice drive back afterwards. Heaven.